BRUSSELS – Around 2,000 European towns and cities have raised awareness of sustainable and clean transport during this year’s European mobility week which took place from 16 to 22 September 2016. This year’s theme ‘Smart and sustainable mobility – an investment for Europe’ offered an important opportunity to bring attention to the economic benefits, economy-wide as well as on the personal level, from investing in electric mobility. More than half of the world’s population today lives in cities and virtually all countries are witnessing a period of extreme urbanisation. The UN predicts a global population of nine billion people by 2050, with approximately 70% of them living in cities. This will have profound implications in terms of demand for food, water, and energy consumption. When it comes to transport, which today accounts for a quarter of global emissions related to energy and represents the sector with the fastest growing emissions, urbanization trends are expected to result in the doubling in the number of vehicles on the roads by 2050. In Europe alone, cities are already hosting three quarters of the total EU population. This translates into half of all Europeans using a car every day, with severe consequences on increased congestion, traffic accidents, and noise and air pollution. Air pollution is a threat to the health of great numbers of residents of urbanised areas in the world. The Organisation for Economic Co-Operation and Development, OECD, estimates that of the total number of annual premature deaths due to outdoor air pollution globally amounts to around three million people. Although challenging to measure, the economic cost of the loss of life and the health impacts on the population of the OECD countries, plus India and China, is estimated to be USD 3.5 trillion (approximately € 3.14 trillion). Of this amount, over half is attributed to the adverse effects of air pollution caused by road transport. These alarming findings have been gaining ever increasing attention at the EU level. In fact, the theme of this year’s European Mobility Week “Smart and sustainable mobility – an investment for Europe” takes the opportunity to bring attention to the close ties between transport and economics, namely the economic benefits of investing in clean, sustainable transport. 557,000 cities and communities world-wide spend roughly EUR 4 trillion per year – 10% of global GDP. This means that cities carry a key responsibility in ensuring their resources are spent wisely. 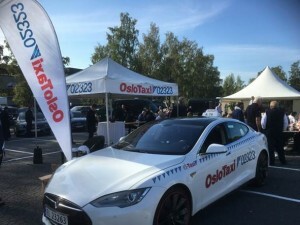 The Norwegian EV experience shows the remarkable effect on electric vehicle uptake once fiscal incentives are put in place to render their purchase a cost-saving option. To bring down the dangerous air pollution levels large cities such as London or Paris to considering a ban on internal combustion engines (ICE) vehicles in city centres in the future. In London, for instance, the first two all-electric public bus lines will be opened at the end of 2016. In doing so, London will have the largest fleet of e-busses in Europe. Norway, on the other hand, recently reaffirmed its leadership position in the field of low-carbon electric transport, by announcing plans for all newly sold cars in the country to be fossil fuel free by 2025. 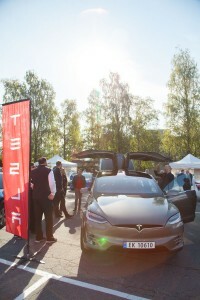 In this context, the Bellona Foundation hosted a trial of electric taxis in Oslo among local taxi drivers for the second consecutive year in a row during European Mobility Week Nissan, Tesla, Mercedes, BMW, Toyota, Scheider Electric and KIA were all present to showcase their EVs, hybrids, hydrogen cars and larger cars that run on biofuels. What is more, Bellona’s EV recharging infrastructure company eRoute 71 was also represented at the event to inform about the charging solutions it offers across Norway. Both promoting electric transportation in urban centres, as well as the banning of ICE vehicles in the future, could not only mitigate the negative consequences as those mentioned earlier, but they could also benefit the economy in various ways. Two thirds of total oil demand comes from transport. In 2015, overall spending on crude oil imports in the EU was €187 billion. The shift from fossil to hybrid and electric vehicles would enable Europe to save €47 billion by 2030. Although one could argue that jobs may be lost along the production line of ICE vehicles, the electrification of urban transport would contribute to the EU’s jobs and growth priority, as electric vehicles can create 11 million net new jobs by 2030. At the individual level, electro-mobility also has economic benefits. The owner of an average new car in 2020 will save about €300 to €400 on fuel each year compared to an owner of an average manufactured car in 2010. While the initial purchase cost of electric vehicles may still be higher as compared to ICE vehicles, electric car owners enjoy a lower total cost of ownership. One of the e-taxi drivers interviewed at Bellona’s event last week for instance reported to have saved up to 80.000 NOK (€8,743) a year in operating costs. Concerns over short-term loss of jobs in the auto industry are by far outweighed by the long-term economic and health-related benefits of the production and usage of electric vehicles. In recognition of this, large European urban centres are already leading the way in the shift towards cleaner transportation. It is hoped that more cities will follow suit.